﻿ Senator Apartments Budapest Budapest. JIMAT di Agoda.com! Ada soalan mengenai Senator Apartments Budapest? Ketika melawat Budapest, anda akan merasa seperti di rumah di Senator Apartments Budapest, yang menawarkan penginapan berkualiti dan perkhidmatan hebat. Terletak 00.00 Km dari keseronokan bandar, hotel 3-bintang ini terletak di lokasi yang sangat baik dan menyediakan akses kepada tarikan terbesar di bandar. Juga terletak berdekatan adalah Laman Gozsdu, Gozsdu Udvar, Gouba Art Market. Senator Apartments Budapest menawarkan perkhidmatan yang sempurna dan semua kemudahan penting untuk menceriakan pelancong. Hotel ini menawarkan pelbagai kemudahan di lokasi untuk memuaskan hati tetamu termasuk yang arif. 20 bilik di sepanjang 7 tingkat menyediakan suasana nyaman dan menyenangkan. televisyen skrin rata, internet wayarles, internet wayarles (percuma), bilik larangan merokok, pemanas boleh didapati di beberapa bilik. Kemudahan rekreasi hotel, yang termasuk seperti pusat kecergasan, rumah urut, taman permainan kanak-kanak, kelab kanak-kanak, taman direka untuk anda melarikan diri dari masalah dan bersantai. Nikmati perkhidmatan yang sukar ditandingi dan lokasi benar-benar berprestij di Senator Apartments Budapest. Thank you very much for your feedback, it was a pleasure to welcome you in our Hotel. We are really sorry for your bad experience. Feedback like this helps us by knowing what we are doing right and what we can work on. So, I appreciate you taking the time to send us this helpful response. Have a nice day! Location is good,food place everywhere,public transport nearby. Apartment located inside section of the building,can be tricky to find as not viewable from the streets,eyes need to be sharp. Car park available in the building,but also need to properly find as if you missed the entrance,need to make big round,traffic volume is high around this area. Apartment clean and ok. Bed and pillow can be improved. Must book from website, we extended our stay a night,paid nearly double compare online. In apartment facilities ok,washing machine,etc available. Front reception friendly and will assist anytime if needed. This trip i booked a studio apartment for 2 nights. At first glance the apartment was ok, but at second glance it was becoming a bit worn, couch had broken leg, and was uneven. Besides the couch everything else worked, but it was not as nice as the other property i had stayed in a year prior. I like the location, i like the concept, but this unit just needs a bit of a remodel. I am sure other units at Senator are fine. This place is very spacious and offers very good location at the heart of Budapest where it is within walking distance to Deak Ferenc metro station. There is a kitchen that is fully equipped with utensils and pots and plates. Check-in and check out times were smooth and the staffs are friendly. The heating system works perfectly well. Very highly recommended and we would love to return to this place if we are to go to Budapest again! 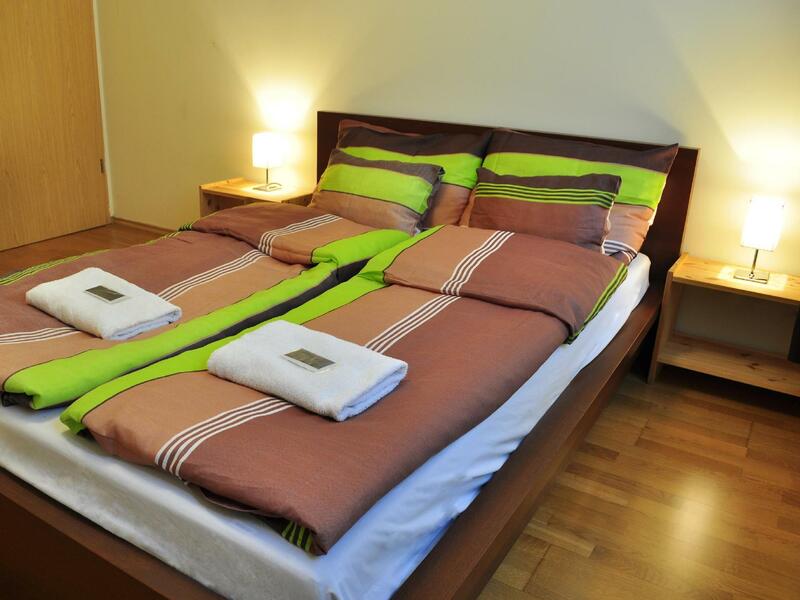 This apartment hotel is located in the heart of Budapest city, in the main road of Király utca. 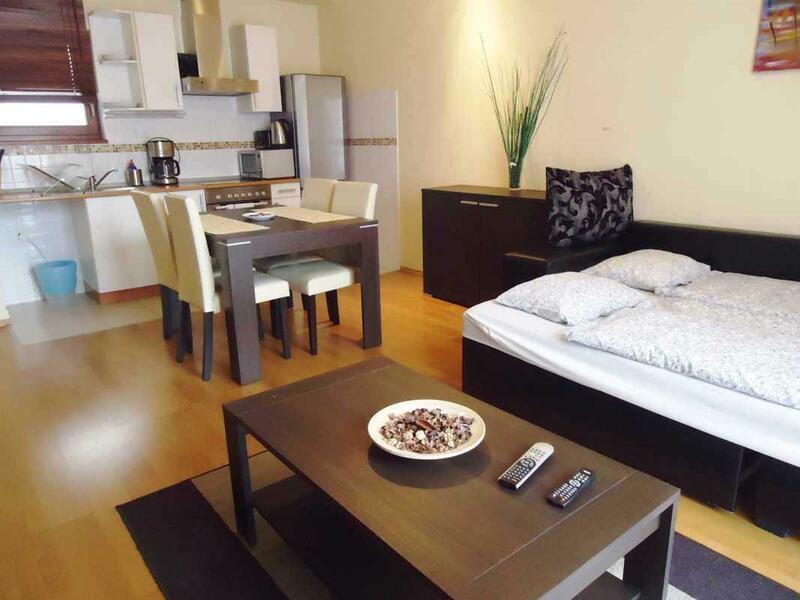 It is just 4 minutes walk to The Deák Ferenc tér metro station so the access is great. The room facility is ok concerning the price is very valuable and plus the reception staff is very friendly, attentive and helpful. It has a living room, two rooms, and other facilities and it is recommended as an affordable apartment hotel. The restaurants, ATMs, convenient stores are all just nearby the hotel. Thank you very much for your kind feedback, it was a pleasure to welcome you in our Hotel. We hope that we will meet again in the future! Have a nice day! All in all I have no real complaints about this Apartment, it's more like a hotel than an Apartment. They have a front office that seems to be open 24/7. The staff were friendly and helped me with some power adapters when my flight was delayed. Bed was a bit harder than I prefer, but I like a soft bed. Location was good, close to lots of stuff, including Metro, and tourist areas. I will stay here again, if I return to Budapest. I was given the room three floors below the bars and restaurants, but it was too loud for my family to sleep even we use the ear plugs, we still could not sleep. We were able to sleep after the bars closed which was around 2-3am. I think it is more suitable for people who enjoy night life. This is my 4th time in Senator Appartment .The first 3occasions were amazing,however now I had a terrible experience.They placed us into a very old building which was under renovation.I think we were the only people staying in the whole building.The Appartment was not clean,we found dirty plates,glasses,dried bread slices in between the plates in the cupboard,no hairdryer etc.The room was facing the street which was extremely loud,so we hardly slept.When we wanted to rest a bit during the day on our first day,the staff called us angrily ,almost shouting that we were supposed to check out already 30minutes ago,they sent someone to knock on our door,however it was only our first day of stay,which means we were supposed to check out only 2days later..They asked us to go immediately to their office,so we had to get out of bed,walk to their office,than they realised it was their mistake,as we still had 2more days remaining. Spacious and confort apartment but outside is very old and dark. Have to walk 10 minutes from receiption to the apartment, because is different building. Couldn't ask for better service or value. I booked last minute, expected an outrageous price. Senator was very reasonable, great location. Right in the down-town, everything we needed was within walking distance. Apartment was clean and warm. Much more room than I expected as well. Great trip, my girlfriend said it was the best New Year's ever. Location is very good. It could not be more central. A short walk from Teak Florenc Ter metro station. Less than two dollars and about half an hour to ride the bus and metro from the airport. The staff was very helpful. Location is great. Price is extremely reasonable. Apartment was clean and well appointed. WiFi in the apartment was reliable and sufficiently fast. Plenty of reasonably priced restaurants nearby. There is a small grocery store right across the street for those who want to cook their own meals in the apartment. Considering the price and the location and how close it is to the metro I don't think you could beat this place. I will definitely use them again on my next trip to Budapest. Location was excellent. The rooms were clean and spacious. Facilities within the rooms of a very good standard. I travelled with my sister and we have previously stayed in several apartments in Budapest. These were equal to much higher priced apartments and were excellent value for money. We particularly wanted a balcony, which these had, and we were both very impressed with the space and facilities. We stay at a 3 bed rooms apartment for 3 nights. It is very good decorated. Big sitting room with flat TV, dining room, 2 bath rooms and 1 extra toilet. The kitchen with everything you needed. 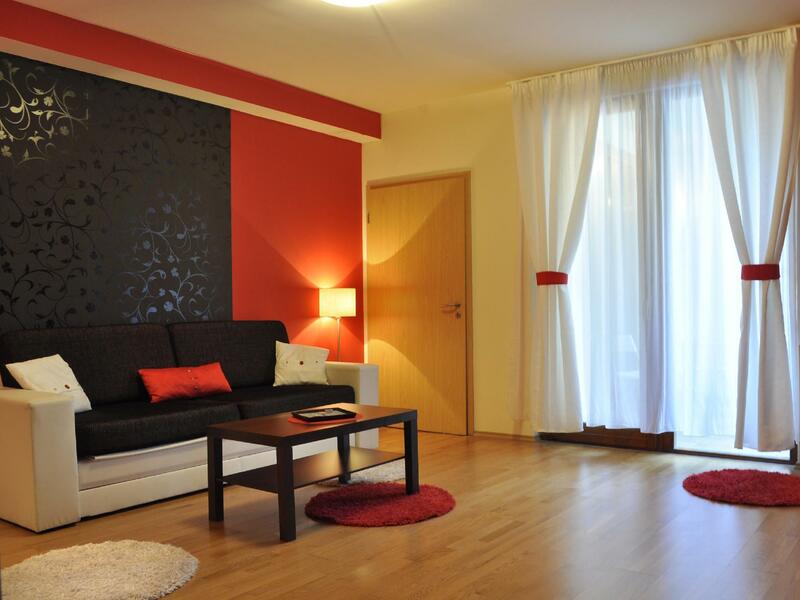 We highly recommend this service apartment to everyone who is planning to visit Budapest in the future. It took over an hour to get booked into the apartment and when we got there the lift was broken and stayed that way for the next 3 days. The apartment could have been ok if it was clean and had enough pots and pans etc. The dishwasher had other people unwashed pots. The decor needs an new coat of paint. Nice, comfortable, clean apartment. We totally recommend it & will be coming back! Spacious room but slightly different from the photos. In the second night, no hot water while having shower. The blanket and sofa got some dirts, could be better if get changed.